Accueil Produits Bande originale La bande originale de “Princesse malgré elle”. 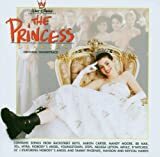 La bande originale de “Princesse malgré elle”. Sortie : 24 juillet 2001. Ce film dispose d’une bande originale de chansons inspirées du film et une autre comprenant les musiques du film. 1. Supergirl (par Krystal Harris) – 3:38. 2. Little Bitty Pretty One (par Aaron Carter) – 2:56. 3. Miss You More (par BBMak) – 4:14. 4. Crush (par 3Gs) – 3:02. 5. What Makes You Different (Makes You Beautiful) (par Backstreet Boys) – 3:33. 6. Miracles Happen (par Myra) – 4:58. 7. Always Tomorrow (par Nobody’s Angel) – 3:40. 8. Away With The Summer Days (par Youngstown) – 3:24. 9. Stupid Cupid (par Mandy Moore) – 2:35. 10. Wake Up (par Hanson) – 4:27. 11. Happy Go Lucky (par Steps) – 3:32. 12. I Love Life (par Melissa Lefton) – 3:12. 13. Ain’t Nuthin’ But A She Thing (par Lil’ J/Nobody’s Angel/Tammy Phoenix) – 5:01. 14. Hold On (par B*Witched) – 3:13. 15. The Journey (par Mpulz) – 3:01. 1. Main Titles – 0:56. 2. Queen Clarisse – 0:53. 3. Mia Invites Lilly to the Ball – 1:08. 4. The Princess Diaries Waltz – 2:09. 5. Mia’s Makeover – 1:08. 6. Princess Lessons – 0:55. 7. A New Mia – 1:05. 8. Mia Flees – 0:53. 9. Sorry, Dad – 0:32. 10. Lana, the Traitor – 1:01. 11. Mia Visits the Consulate – 1:18. 12. Scooter Talk – 0:58. 13. I Don’t Want to Be a Princess – 0:37. 14. Father Talk – 1:00. 15. The Ball – 0:37. 16. Meeting the Prime Minister – 1:03. 17. A Letter from the King – 1:16. 18. It’s a Real Job – 1:02. 19. Mia’s Decision – 2:18. 20. Learning to Walk – 1:42. 21. Mia Apologizes – 0:44. 22. Can I Call You Joe ? – 0:58. 23. The Kiss – 1:18. 24. Harp Interlude – 1:24. 25. 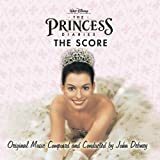 Princess Diaries Medley – 3:25.